Deep divisions within the ANC over names and processes to select candidates for Parliament and provincial legislatures have caused the party, for the first time ever, to postpone its national list conference, scheduled for this past weekend. Acting ANC national spokesperson Dakota Legoete confirmed on Saturday that the national list conference, which was due to sit from Friday until Sunday, was postponed to next year. He acknowledged that it was the first time this had happened. “It is because of the administrative hiccups in provinces,” Legoete told City Press. The national list conference could also be interdicted before it happens by party members from the Free State. The unprecedented move comes as a rebellion is brewing within the ANC over how the nomination list process has been conducted in some provinces. Despite repeated calls for unity by President Cyril Ramaphosa, factional battles within the ANC continue to dog the party and are threatening to weaken it ahead of next year’s general election. In a communiqué to party structures, ANC secretary-general Ace Magashule wrote that it was clear that the party would not complete all the processes on time, including adhering to appeals to have the extended national executive committee (NEC) meeting take place from December 14 to 15. An ANC MP told City Press on Saturday that the postponement of the conference was a bad reflection of the party ahead of elections. “There are problems in the ANC. ANC members are fighting because they all want to be MPs and MPLs. They see a nomination list conference as job creation ... rather than as implementing the party’s policies. It is about their stomachs. We rushed bills in Parliament because of elections,” said the ANC MP. Legoete said the ANC branches in Gauteng, the Eastern Cape, the Free State, Limpopo, Mpumalanga, the Western Cape, the Northern Cape and KwaZulu-Natal were almost done with their processes and were expected to make presentations to Luthuli House on Tuesday. The North West is the only province that has not been cleared. “In provinces where they voted, counting is not yet done. Most provinces will have completed nomination processes by Saturday,” Legoete said. He said Luthuli House had not received any official complaints as yet. “As far as we know, we have not received official complaints. It is just rumours on the streets,” Legoete said. The dates announced by Magashule mean that before the ANC’s January 8 celebrations at Moses Mabhida Stadium in Durban, party leaders will be kept busy trying to attend to aggrieved members from across provinces. 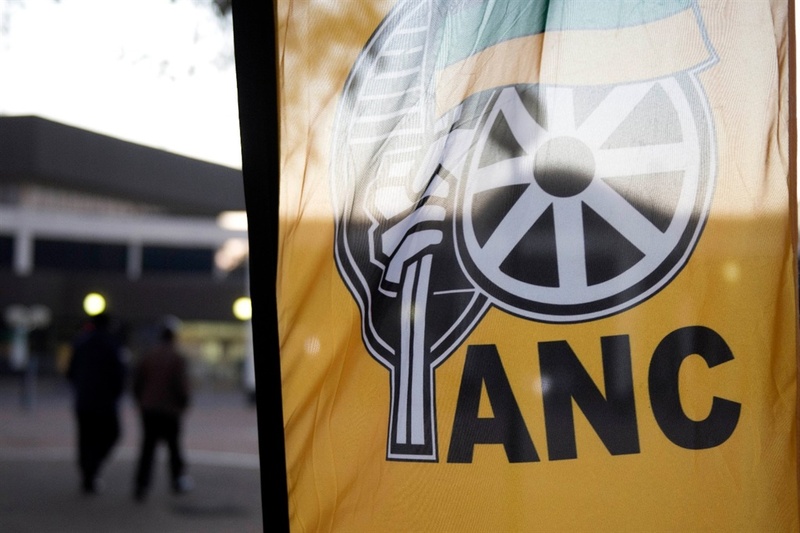 The ANC’s North West provincial task team (PTT) has been accused of suppressing the democratic process by allegedly refusing to allow other branches to participate during the nomination list process. There are even allegations that a PTT member was caught red-handed with membership files of various branches. Legoete said the provincial list conference was postponed for audit verification, after allegations of manipulation surfaced. “The provincial list conference is likely to sit on Tuesday or Wednesday, depending on the verification of audits,” he said. The North West provincial list conference will sit once Magashule has signed off the verification audit. Unhappy ANC Free State members informed City Press that they would head to court to interdict the national list conference, citing manipulation and the purging of those who held a different view during branch general meetings. Neo Motaung, from the Linda Mkhonto branch in the Maluti-a-Phofung region, said: “It was at these illegally held branch general meetings that members chosen to represent the Free State were elected. Motaung also expressed concern that the former mayor of the Maluti-a-Phofung Local Municipality, Vusi Tshabalala, was deployed to head the nomination process during the branch general meetings in the region. Tshabalala is a known ally of Magashule. However, Tshabalala denied this, saying he was only the head of “elections, mobilising and organising”. The SA Communist Party (SACP) in the Free State boycotted the ANC’s provincial list conference, saying there was no consolidated report for the adoption by the provincial list committee (PLC) of all work performed from the start, including an account of the branch general meetings held, individuals nominated, and objections and disputes handled. “Such a report should be presented to the list conference with recommendations by the PLC,” said SACP provincial secretary Bheki Stofile. The ANC in the province also angered the SACP when it allocated the communists two delegates to the provincial list conference. Stofile said the SACP received communication from ANC deputy secretary-general Jessie Duarte that the party had been allocated seven delegates to the provincial list conference. “However, the ANC provincial secretary has subsequently sent a letter, indicating changes to the delegation,” he said. The SACP, along with labour federation Cosatu and the SA National Civic Organisation, are ANC alliance partners. In KwaZulu-Natal, branches have made a statement by nominating Dlamini-Zuma to be second on the list, ahead of Deputy President David Mabuza. Ramaphosa is top of the list. Mabuza, who angered many in the ANC with his 11th-hour decision to back Ramaphosa at the party’s national conference in Nasrec, south of Johannesburg, last year, is only in third place, while ANC national chairperson Gwede Mantashe is fourth on the list. The list includes NEC member and Cooperative Governance Minister Zweli Mkhize’s name as part of the top five. Other ANC NEC members, such as Police Minister Bheki Cele and former KwaZulu-Natal premier Senzo Mchunu, are also on the list. KwaZulu-Natal provincial secretary Mdumiseni Ntuli told City Press on Saturday that Ramaphosa was nominated with a “huge margin”. The province is the home of former president Jacob Zuma, Ramaphosa’s nemesis. The ANC Gauteng chairperson and premier, David Makhura, said the province received only 14 disputes raised by delegates during its provincial list conference, held this week. A group of ANC members from the Boland region in the Western Cape has lodged an appeal with the national list convenor regarding the outcomes of the provincial list conference. The members allege that some candidates’ names were not on the ballot paper and that it was provincial list conference convenor Thandi Makasi who arrived with ballot papers, rather than the election agency. “Because of the discrepancy, as delegates of Boland we plead to you for the conference to be redone in order to give us as delegates the opportunity to vote for the candidates of our choice,” said Sharon Davids, an ANC member in the region. She added that the nomination list conference was run recklessly and was lacking in fairness and transparency.